Outside the business realm, it is hard to imagine the utility of a pickup truck. But in a country like Bangladesh, these vehicles can be extremely useful which is why people are actually investing in these. A stroll on the streets of Dhaka will help you comprehend the business scenario of the country. The capital is bustling with business activity and the demand for business-related transportation is magnanimous. On the other hand, if you travel outside Dhaka you will be stunned by the rural rustic nature of the roads and highway of the country. Many people from the urban areas are investing in the country houses so that they can spend some time away from the rush of the city life. Obviously, these people carry a lot of luggage, friends and relatives along also and for them, a pickup truck is an ideal transport vehicle. So, it is a proven fact that these vehicles are a requirement in this region, but there’s a problem. With so many selections of pickups existing, it is hard to decide which one is perfect for you? While purchasing a truck for the very first time, you’ll require to answer some predominant questions before probing into the finer particulars like-what purpose will the truck serve? What goods will it transport? What distance will it cover? When you mark out these necessities, you will be prepared to go through the many choices of the contemporary truck market. A vast majority of contemporary pickup trucks are impelled along with automatic transmissions. They are compatible for regular driving, offer extraordinary towing ability, and make driving off-road a stress-free affair. On the other hand, the manual transmission has been an endangered feature among pickup trucks for many years now, though it hasn’t disappeared completely. For many people, the two-wheel drive will serve just fine-rear-wheel drive truck chassis are flawlessly suitable for towing and transporting loads. But, several buyers select four-wheel drive for its off-road competence and safety it offers in extreme weather conditions, irrespective of whether they essentially require it or not. Pickup trucks are more than just stoic workhorses. In fact, it can be termed as a do-it-all family transporters, packed with digital infotainment systems and luxury features. Off-road suspension systems, appearance packages, exterior storage bins and tow packages, all these can be added to the vehicle, but for a price. 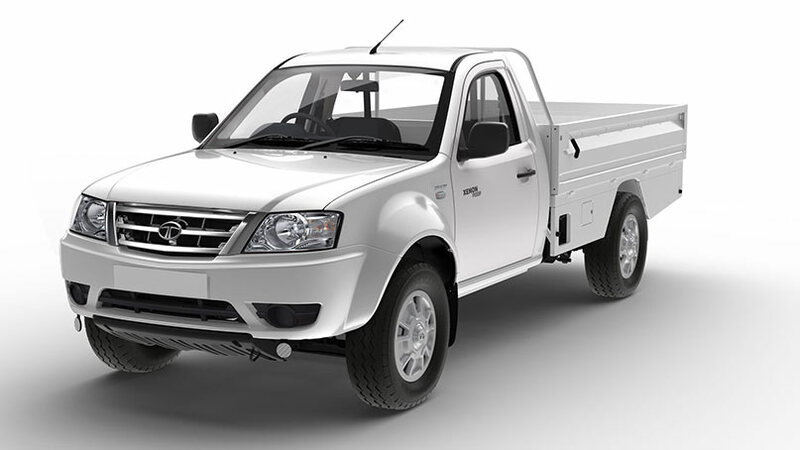 In fact, Tata Motors gives it all and Tata pickup price in Bangladesh is reasonable in spite of these added features. Currently, pickups come in a dizzying collection of styles, sizes, and configurations, but these can usually be cut down to a few choices. For example, customers can choose Tata Motors 207DI, when the vehicle is intended for both urban and rural usage. The 207 DI is packed with security features which provide better solidity and comfort of driving. With the maximum ground clearance and larger tyres for more traction, this vehicle is the ultimate multi-terrain, multi-application pickup which combines high performance with truncated maintenance necessities. The Tata pickup price in Bangladesh is also within the reach of every common man. Again, the brands may change, but cabs are usually denoted to as regular, extended, or crew arrangements in increasing size, while bed lengths are normally distinguished by short and long. Of course, there’s no specific wrong choice here-there’s a body style for everybody-but you’ll certainly want to take into account precisely what you intend to do with your truck, in what kind of space you have to park it, and how regularly you’ll make the truck available for usage. Remember, the Bangladesh market is steadily growing and pickup trucks are in great demand for meeting both the business and family requirements.